Our ExpatCapeTown immigration guide will show you the different South Africa visa requirements and tell you what you should know before applying for your visa for South Africa. When entering South Africa, either a visa or any other type of permit such as a valid work visa, study visa or residency permit is required. Visitor visa for visa-exempt countries are granted at the ports of entry. However, for long-stay temporary residency visa, you will have to apply at the South African foreign missions abroad before your travels or if you are already in South Africa and need to change condition on your visa, this can be done in certain cases at any of the VFS Visa Facilitation Centres within the country. 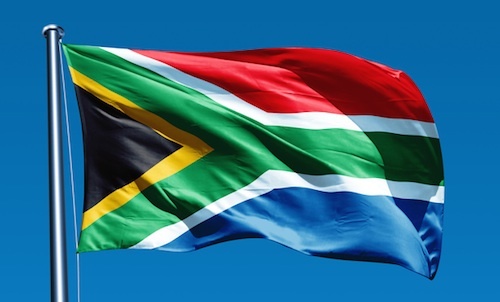 Read all about the different visa and permit types for your immigration to South Africa below. Visitor visas which are granted for short stays up to 90 days/three months, also might allow work when conducting certain activities (see below) in South Africa. Some kinds of visitor visa such as the volunteer visa (visitor visa section 11(1) or the 'spousal visa' which are visitor visa section 11(2) are granted also for longer periods up to maximum of three years. Temporary residency visas are permits for foreigners who apply for temporary residency and are usually granted for up to three years, but some are for maximum of five years such as General Work Visa or Critical Skills Visa. Accompanying spouses, partners and children are granted visa for a maximum of three years, but this type of visa is renewable. Permanent residency permits are granted to independent individuals who are in the country on a valid work permit for over five years or who are married or in a ('certified' life partnership) with a South African citizen for over five years . Remember that you need to apply at VFS at least 60 days before expiry of your visa for any renewal! The officer at the Immigration counter at the port of entry will only review your application for entry if you are coming from a visa exempt country. Visitors from other countries, which are not exempt from visas, have to apply at an embassy or mission for a South Africa visa as such visas are not granted at the port of entry. The application process for all who need to apply for a visa outside the country in general takes between four days and six weeks according to the DHA. Costs for these visas vary depending on the foreign mission's fee schedule. Additional fees at visa centres might apply as well. A ‘yellow fever certificate’ if your journey starts or entails passing through the yellow fever belt of Africa or South America. Lists of documents needed for application for the whole range of visas and permits, can be found here. Border-hopping to neighbouring countries such as Namibia or Mozambique to gain a renewed visitor visa is not possible anymore since the new regulations came into effect in May 2014. In general, a maximum of 7 days is granted with the re-entry should a renewed visa have not been received before departure. On entry to South Africa, the visa is granted on the conditions of the stay (or reasons of stay, i.e. travels, study purposes or medical treatment) in which it was applied for. These conditions need to be observed and usually cannot be changed within South Africa. New visa categories must be applied for from abroad except for temporary residency visa holders in cases such as adding a work authorisation for spouses of SA citizen/permanent residency permit holders or adding a study visa for children. Please enquire with DHA call centre 0800-601190 or the VFS hotline 012-4253000 or contact a recommended immigration agent for support. Visitor visas for visits to family or friends or tourism purposes are usually granted for a maximum period of 30/90 days to foreign citizens or travellers whose permanent residence is outside South Africa, depending on the country. Visitor visas can be renewed once in sequence. Visitor visas do not have a limit to entries are allowed during the visa period granted, however, are usually understood as single-entry visa. Enquire at your foreign mission for specific queries and remember to apply at least 60 days before expiry of your visa at VFS in South Africa if you need to stay longer than the prescribed period. You might also need to consider to apply for a different visa category if multiple entries in a calendar year are required. 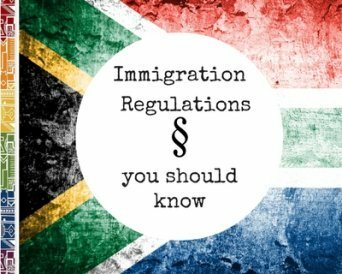 Be aware, that extension of visitor visas with any travels (departure and re-entry to South Africa) during your visa period will only be effected in exceptional circumstances, such as for medical reasons. Otherwise applications for visitor visas for another up to 30/90days stay might be accepted in-time before expiry if you apply at a local VFS office at least 60 days before expiry date of your visa. With a South Africa visa as visitor visa section 11(2) spouses and life partners of South African citizens and permanent residency holders can apply for an 'authorisation to work'. Take note, that spouses and life partners accompanying foreign work visa holders, however, have a temporary residency visa which requires them to apply for a separate work visa or critical skills visa to get an authorisation to work if the employer is a South African company (not a foreign employer). Beware that visitors’ permits are issued for different length of visit. Nationals of some countries are allowed a maximal stay of 90 days, whereas others such as Turkey are granted a maximal stay of 30 days. Citizens who are holders of diplomatic, official and service passports might be granted different length of stays as well. For a more comprehensive listing go to this DHA page. If you need help when you want to renew a permit or want to change your status (for example when applying for a study visa), contact an immigration practitioner for advice. There are various other visa and permits available to applicants moving to South Africa. Should you overstay your visa, harsh penalties apply. If you overstay your visa and are illegally in the country, no matter if you applied in time, the border control officers can stamp your passport and 'ban' you from re-entering the country in the near future as you will get an 'undesirable person's status'. Appeals for exceptional circumstances can be lodged and must be sent in within 10 days of receiving the ban/decision by the immigrations officer. Documents needed for the appeal are listed here. You can lodge appeals with the DHA here. Disclaimer of South Africa Visa information: This summary is for information purposes only and not for the purpose of providing legal advice. You should contact an immigration lawyer to obtain advice with respect to any particular issue or problem regarding your immigration permit.